It’s a bright spring morning, fine and clear, the kind of day that planes (and pilots) were made for. With a larger-than-usual smile on my face, I take my seat on the flight deck of a 747 at Kennedy Airport. I carefully lower my generously-sized coffee into that signature Boeing cup holder and start to program a route to London’s Heathrow Airport. So far, at least, there’s nothing unusual. Indeed, KFJK and EGLL are the airports that I’ve flown between most often. There’s a joke that in this day and age New York and London are each merely neighborhoods of the other. If so, I’m a fairly busy driver of the buses that connect them. A quick scan of my logbook says I’ve crossed the skies between these two world capitals about 120 times so far in my career. Still, something is different about this flight. The first clue is the Minimum Safe Altitude in the first half an hour after takeoff. The highest figure on our paperwork today is ‘4.8’, or 4,800 feet. A more typical figure for much of the climb would be 3.0, or even lower, numbers that reflect our typical flight paths over the diminutive elevations of Long Island, southeastern New England, and, of course, the ocean itself. What’s raised the earth up to 4.8 today, I wonder? New York’s skyline, which I can just about make out through the cockpit windows, is rising fast, I joke to my colleague, but not that fast. As I scan the paperwork I see, too, a few early waypoints that I’m not too familiar with—JUDDS, followed by MARTN, and an ITT (initial true track) of 353 degrees. Northwest, that is! From New York to London? As I turn to the map screen on the navigation display and the charting app on my iPad, I see that our slightly unusual initial routing—due to a combination of air traffic congestion and more favorable winds farther north—is taking us up over western New England before we turn east. I suddenly realize that this will therefore be the first JFK departure I’ve flown that will take me nearly right over the Berkshires, the hilly region of western Massachusetts. In fact, we’re due to fly nearly right over the small city of Pittsfield. That’s where I was born, grew up, and took my first flying lessons. I tell the captain about the unusually personal resonance of what’s been loaded into the electronic depths of the flight management computer. “Then let’s hope it’s just as clear up north,” he says with a smile. Just under an hour later, we depart from 31L. As we retract the flaps, we’re given a series of left-hand turns that bring us (the long way) around to our initial northwesterly routing. Thankfully the skies ahead over New England appear to be as spotless as those over New York. About a quarter of an hour after takeoff, as we are climbing through the high twenty thousands, I get my first glimpse of Mount Greylock. If you’re from Colorado or British Columbia, or even next-door Vermont, frankly, then Mount Greylock is not going to impress you. But it is nevertheless the tallest mountain in Massachusetts (elevation 3,491 feet, plus a stone tower) and it dominates the Berkshire landscape. In fact, it’s the mountain that Herman Melville could see from the windows and porch of his Pittsfield farmhouse. From certain angles, the mountain is even said to resemble a whale—a white one at that, at least in winter. As our target speed switches from IAS to Mach and we turn off the seat belt sign, it occurs to me that Melville, a New York City native who moved to Pittsfield in 1850, would have been familiar with a much lower and slower version of the journey we’re enacting. Before moving inland to Pittsfield, he travelled across the seven seas as much as anyone possibly could in his day. He would never have been able to imagine the extraordinary vessel in which we are sailing across the sky (and that will shortly take us across the entire ocean, too). He’s perhaps the historical figure to whom I’d most like to show a 747. Still, as we race towards Pittsfield, it’s a more personal history that moves me. As Pittsfield starts to slide under the side of the nose, I think, If only we were banking, I could look straight down on my town. At that very moment—in fact, it’s so well timed that I half-wonder if I’d mumbled and broadcast what I was thinking on the radio—Boston Center gives us a direct routing to the northeast. I check the airspace to our right and the ailerons steadily roll the great jet toward London. As we bank, I see the morning light as it catches on the two Pittsfield lakes—Pontoosuc (a version of the original name for the lands around Pittsfield) and Onota—that my friends and my brother and me swam in in summer, and skated on in winter. It’s easy to pick out my elementary, middle and high schools, so far away in both altitude and years. With the school as landmarks, it takes just half a second to triangulate the location of my old house. I can see the runways at the small airport (PSF) that occupies the first line of my first logbook. And then—before I could locate my dad’s old office building; or my best friend’s old house, which lies on a railway line and so should be easy to find; or Route 9, a road that would help me pick out some of the lovely but heavily forested hill towns to the east—Pittsfield disappears behind us. That’s the way of the world, of course, especially when you’re moving over the ground at something like 500 knots. But when I got to London, and for a long while after I landed, I wondered about that aerial encounter with my hometown. Pilots love to fly for lots of different reasons. We love the planes themselves, or we love the kind of motion that’s only possible in the sky, or we love the places that planes take us to. But perhaps the most common reason among my friends is that we like to look at the world. We like the views. For many of us, the joy of flying isn’t any more complicated than that. Among those views, though, which move you the most? Is it the sight of your home, of streets and paths you walked up and down for years, the features that form the deeply ingrained map you could practically draw with your eyes closed? Or is it the view of a new and far-off place, somewhere that seems just impossibly far from where you came from? What pulls you most strongly—home, or away? This question, in more general terms, is far older than aviation (as Melville’s writing makes clear). But I think today this question is most alive for pilots. 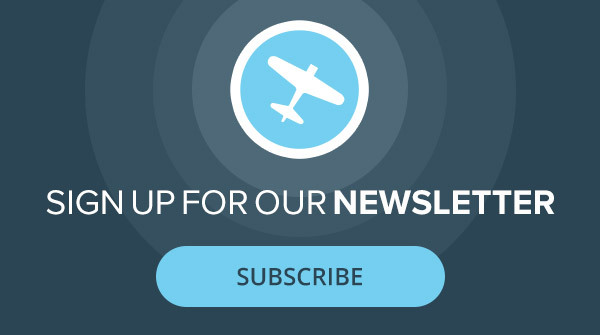 It’s such a fundamental question to us because we see something old and something new on every flight, and that’s true whether we spend our hours in the sky zooming around our county or around the whole world. In the spirit of that fundamental question, then, my recent encounter with my hometown from above has been a chance to think about the arc of a pilot’s career, and about how what aviation offers me has changed over the years. For example, when I first started to fly small planes as a teenager in Massachusetts, I was struck, like any new pilot, by the unfamiliar geographic truths of a place I thought I knew. I saw that the layout of my hometown wasn’t exempt from the laws that govern every human settlement. Places that I thought were far apart because they were accessed by long-divergent roads, for example, were in fact separated merely by a narrow ridge. I saw that our routine, earthbound journeys from home to the lake or the next town, whether on foot or on a bike or in a car, were in fact incredibly convoluted, in comparison to how directly we can cross the sky above them. 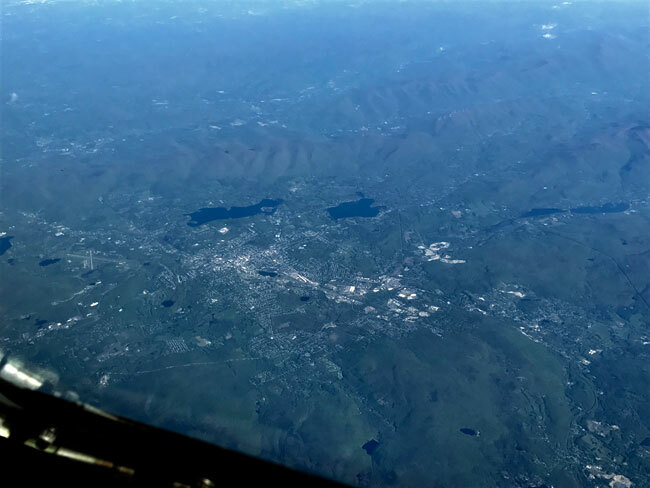 But when I saw Pittsfield from the air so clearly this spring, a quarter-century after my first flights over it in a small plane, it wasn’t the basic geography lesson that amazed me. After all, that had been baked into my worldview long ago by those early flights. Instead, I felt a bit like I was looking back in time. I don’t live in Pittsfield anymore, and my parents are no longer around. A lot of my friends have moved away. What struck me wasn’t the map I saw of Pittsfield and the deep-green hills around it, but the map I saw of my own past. And that’s not something I could imagine seeing (in any sense) when I first flew over my home as a 17-year-old. Equally, when I started to fly long-haul routes from Heathrow about a decade ago, I was blown away by the jaw-dropping sights that regularly scrolled past the cockpit windows—the glaciers and mountains of Greenland; summer nights over Russia, on the way to Tokyo, when it never even started to get dark; so many deserts, from Arizona to Arabia, each of which looks similar enough, but is just slightly different in hue from its far-scattered cousins. That’s to say nothing of what we see in the sky itself—the clouds, the auroras, the stars, the moonlight over the open ocean that’s bright enough to read a map by. Now, in my mid-40s, I’m very happy to see these exotic and grand sights. I worked in an office job for several years before I became a pilot, and I won’t ever get complacent about the view from the cubicle I currently get paid to sit in. But equally, when I look down at the frozen coast of northern Iceland on my way to Vancouver, or at the sands of the Kalahari as we prepare for our descent to Johannesburg, there’s a part of me that thinks: that’s beautiful, or I’m so lucky to see that. I might say, too, that place down there, that is home to someone. But there’s another feeling, one that seems to get stronger every year: Wow, that’s awesome. But its main effect is to make me think of home. I often fly with older colleagues who express more enthusiasm at the sight of their village in the English countryside, one that looks to me exactly like every other village nearby, than at the glowing lights of Rome, the distant, serrated line of the Himalayas, or the deep-blue coral seas off Thailand. I wonder if this particular change might be an “age thing”. Already, I think that if I were told today that I could take only one more flight in my life, just one more, to anywhere at all, I wouldn’t go for a joyride around the Cape of Good Hope or Mount Fuji or Ayers Rock. I might have made such a choice when I was younger, but not now. Today I think I’d go for a long and slow flight over some very familiar terrain in western Massachusetts. Maybe that’s the arc of a pilot’s life—or of any journey, really, if we’re lucky enough to be able to travel in the real world, and not just in our armchairs and our metaphors. We go up and away, we aim to see the far-off world, as much of it as we can. But after an awful lot of miles we may decide that the place we want most to see, and that we can see most clearly from our current age and altitude, is the place where it all began. So that’s my arc, I suppose, and I’d guess that at 43 I’m somewhere halfway along it. I’ll keep you posted. But for now I’d like to hear from you. What are the sights—deeply personal or world-famous, invisible to nearly everyone but you or absolutely epic in scale—that move you most? How have your feelings about these places, and your memories of them, changed over your years in the sky? You can reach me via the website skyfaring.com. I’ll include some of your stories in a future column.